JEFFERSON CITY, Mo. -- St. Louis County election officials say an error led them to significantly overstate the number of newly registered voters following the fatal police shooting of an unarmed black teenager. 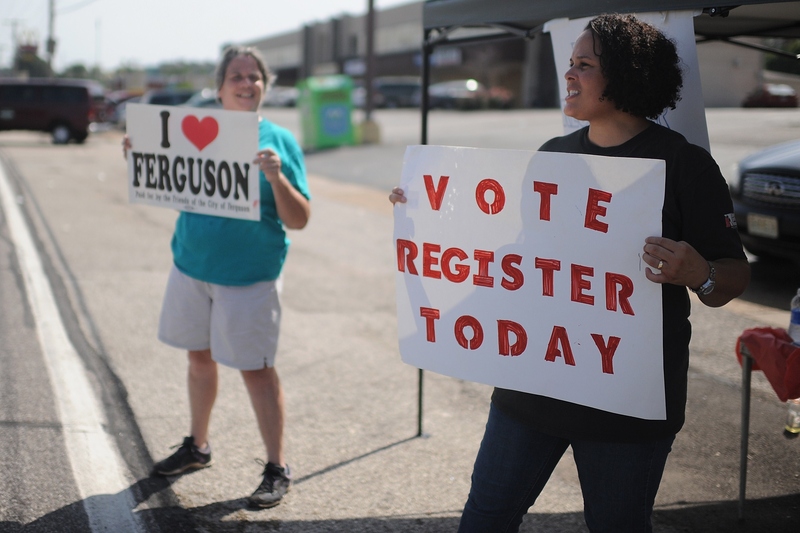 County elections director Rita Heard Days said Tuesday that an additional 128 people registered to vote in Ferguson from Aug. 11 through Monday. That's a far cry from the 3,287 new Ferguson voters the county reported last week, according to CBS station KMOX in St. Louis. "We provided what we thought was an accurate number based on the report from our statewide database," Days said in a statement Tuesday. "A discrepancy was identified in the report that provided us with the numbers we released to you last week. Those numbers were not accurate and we apologize for any inconvenience this may have caused." Brown was shot to death Aug. 9 by Ferguson police officer Darren Wilson, who is white. The killing sparked weeks of civil unrest, and some activists led voter registration drives in an attempt to reshape local government. 2010 Census Bureau statistics show that two-thirds of the people who live in Ferguson are black. By contrast, the mayor and all but one member of the city council are white, and there are only a handful of non-white officers on the police force. The grand jury investigating the Brown case has six white men, three white women, two black women and one black man. Days said the updated number was determined after several days of meetings with the Missouri Secretary of State's office.